While organizing an upcoming event for my business, I realized that I didn’t have an effective way to swipe credit cards in person. My business doesn’t do in-store credit card transactions, as all are handled in advance. But, with this event looming, we realized there may be a need for people to pay on site. In the past, there was always a need for traditional credit card machines, but that’s no longer true. Using a smartphone or tablet, with one of many clever apps installed, anyone can accept payments instantly. 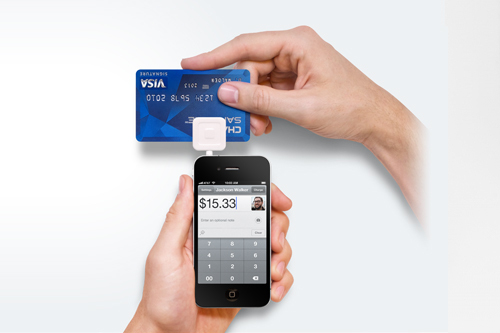 I signed my business up for a service called Square Up (www.squareup.com). I learned about it from a local cab driver who now uses it. There are no monthly or setup fees, one low transaction rate charged per swipe for all major credit cards, and they send you the credit card reader for free. I needed to download a lightweight app to my Android phone, and I was on my way. Plugging in this reader into your smartphone or tablet turns your device into a full credit card reader. No hurdles, no tricks. This highly-rated app works on both Droid- and iPhone-powered devices, including an iPad or Droid tablet. My favorite feature is that when you finish a transaction, the client has the option of having the receipt e-mailed or texted to them. You keep a history of all your transactions, so you have access to them later. After the transaction is approved, there is typically one or two business days before the money is moved from your Square account to a linked bank account. Other companies have joined in and introduced similar services, including Intuit’s GoPayment and Paypal’s Mobile version. However, I have yet to find one quite as simple to set up and use as Square. Another useful feature for my business is that I had my other employees download the app to their smartphone and it all links to the same business bank account. Whether at a trade show or on the go, we can all now sign people up for our services and have them pay immediately. I am extremely excited for the future of services such as these as they make it easier for small businesses to keep up with the big ones. Stu Crair is the owner and lead trainer at The Digital Workshop Center, providing digital arts and computer training instruction in Fort Collins. Reach him at (970) 980-8091 or stu@ fcdigitalworkshop.com.